I’m willing to bet that everyone has some form of tile in their home. Whether it’s in the kitchen, bathrooms, or anywhere else, tile is a popular flooring choice due to its durability and aesthetic appeal. However, as we all know, the worst part about tile is the grout that comes with it. Grout is the cement-like material found in between tiles in order to space them apart and seal them in. And while grout is completely necessary, it becomes dirty extremely fast. 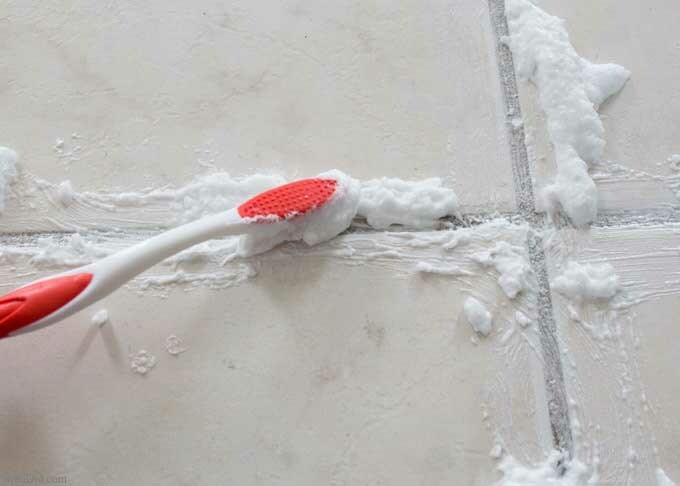 One minute your grout is sparkling white, and the next minute it’s covered in grime, mildew, and dirt. So, what are we to do about filthy, unsightly grout? Well, Facebook user Paula May Calder has an excellent solution. Paula explained that she mixed together 7 cups of water, 1/2 cup of baking soda, 1/3 cup of lemon juice, and 1/4 cup of vinegar. She then sprayed the solution directly onto the grout in her kitchen. She let the solution sit for a few minutes before using a grout cleaning brush to scrub the solution in (a small scrub brush or old toothbrush would also work). She finished off by rinsing the solution off with water, and voila! 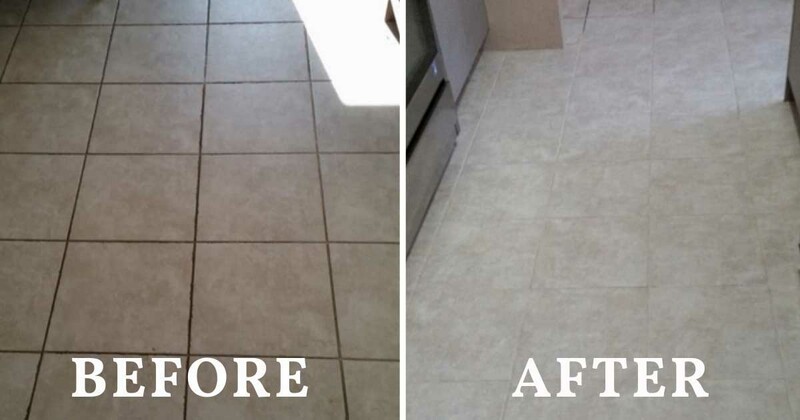 Her grout now looks clean, fresh, and bright. So, if your grout looks like it could use some love, this easy, all-natural method seems like your best bet!